The iPhone 8, one of the devices banned from sale in Germany for infringing a Qualcomm patent. 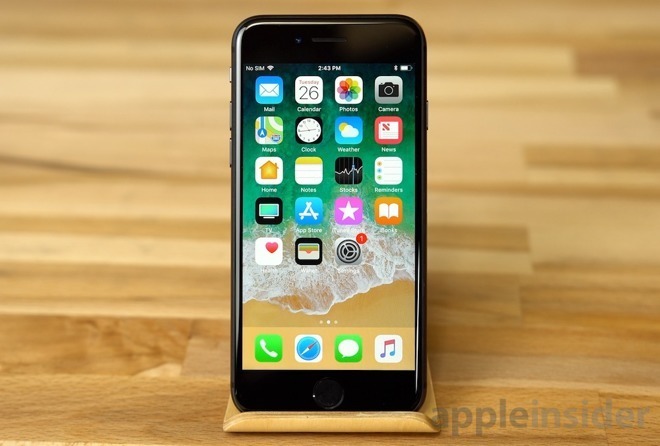 The decision by a German court in December forced Apple to cease the sale of a number of iPhone models using Intel modems, under a ruling that Apple violated Qualcomm's patents. While Apple is working to reverse the ban, the company also appears to be implementing hardware changes to some of its higher-selling devices in order to continue their sale in the market. German-language publication WinFuture, in a report spotted by Foss Patents, that Apple is examining the possibility of creating a slightly modified version of the iPhone 7 and iPhone 8. Aside from software changes, the models will apparently have an infringing component pulled from the design and replaced with another. The offending components which was the cause of the injunction were produced by Apple supplier Qorvo, and are said to have violated an "envelope tracking" patent held by Qualcomm. This refers to a method of conserving battery power while the modem is active. It is unknown what chipset would replace the Qorvo-produced version, if the rumor is true. If genuine, this would provide Apple not only a way to continue selling iPhones in Germany, but also without having to pay Qualcomm a patent licensing fee for the freshly-produced models.